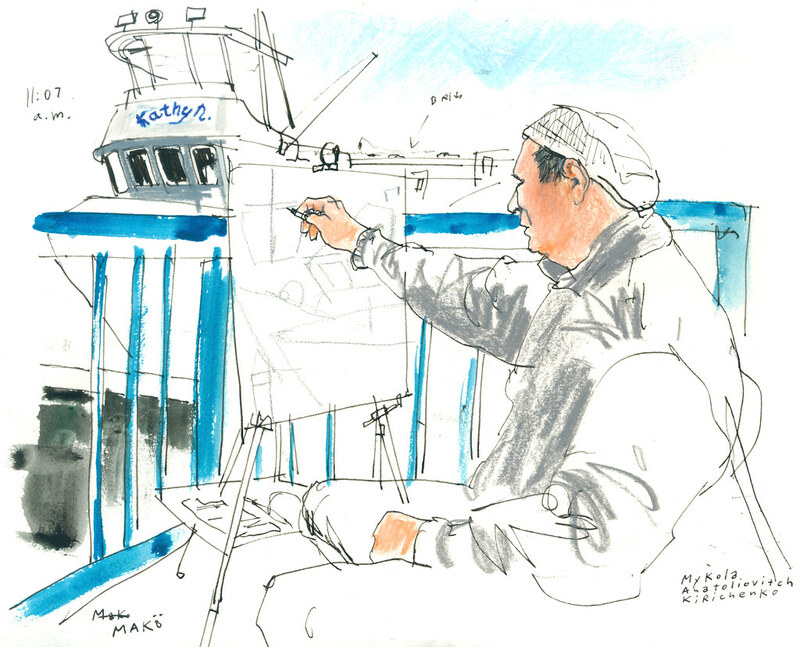 This morning I ran into a couple of artists from the Seattle Plein Air Meetup Group at Fishermen’s Terminal, where I’ve been sketching during the morning for the past couple of days — stay tuned for drawings of crab boats! I couldn’t let the opportunity pass to sketch an artist at work. Mykola Kirichenko, 58, said painting is helping him take his mind off being unemployed. He was laid off from Boeing in June of 2009.